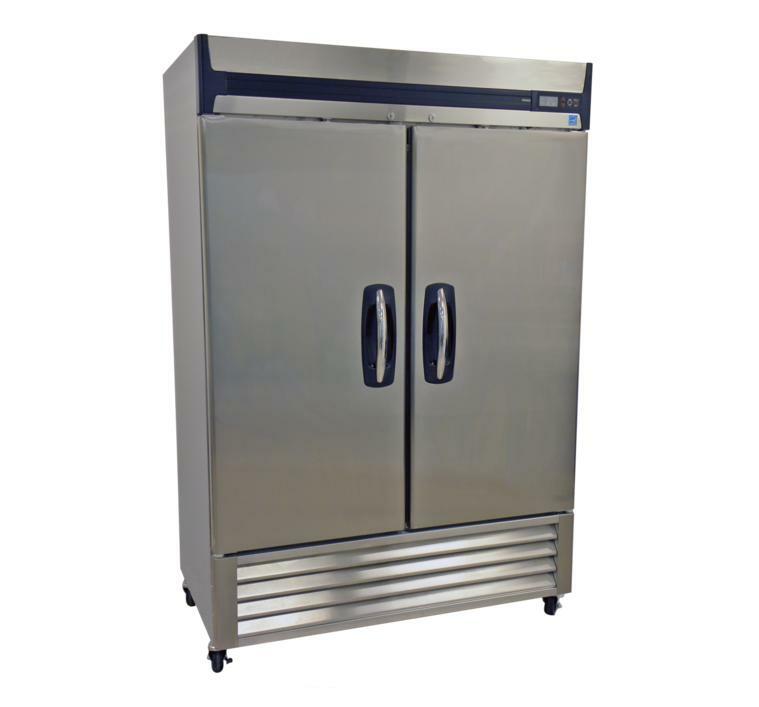 Advanced engineered and a commercial design incorporates the latest in cabinet, refrigeration and temperature control and monitoring features. 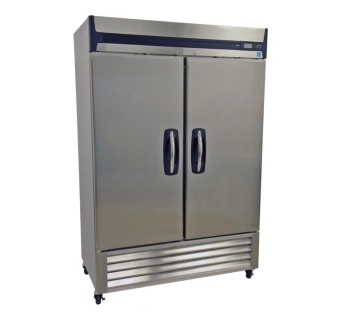 Full size, Stainless Steel reach-in Freezers provide energy efficient, convenient, safe and always reliable performance for optimal storage temperature environments necessary for a wide range of laboratory, commercial and industrial cold storage applications. UL, C-UL, ETL Sanitation, ENERGY STAR® listed! 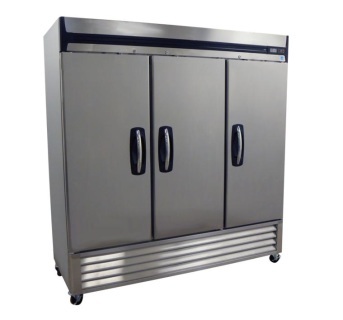 An ETL Sanitation Mark on Food Service Equipment indicates that equipment is fit for use in the production of food intended for human consumption, or the equipment is fit for use in an environment where food intended for human consumption is produced. Digital LED display microprocessor temperature controller. Door open alarm and continuous temperature display. Exterior cabinet front and sides are stainless steel. Exterior cabinet top, back and bottom are galvanized steel. 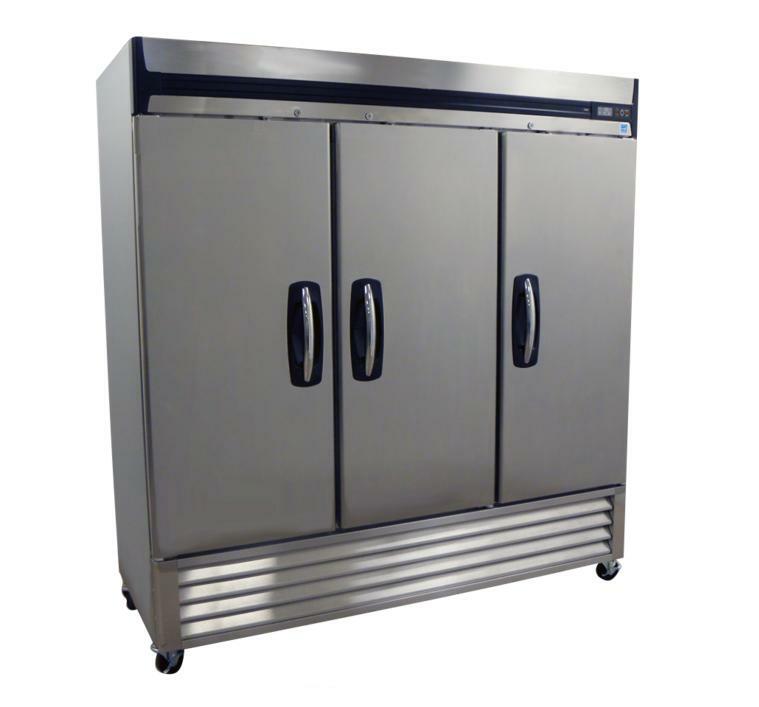 Interior cabinet liner and interior door panel are stainless steel. Cabinet and solid door are foamed-in-place with CFC-free high density polyurethane foam insulation. Heavy duty solid door(s) with pivot hinges and selfclosing operation with 90° stay open feature. Curved door handle(s) with recessed pocket(s) and magnetic door gaskets. Top mounted key door lock(s), unit comes with 2 keys. 4 casters (2 locking) on this model. Interior light, door switch activated. 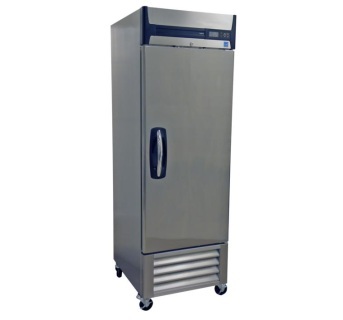 Bottom mounted air cooled condensing unit. Top mounted forced air cooling coil. Warranties: 18 month parts and labor, 5 year on the compressor (US and Canada), and 18 months parts only (International). UL, C-UL, ETL Sanitation, ENERGY STAR® listed. 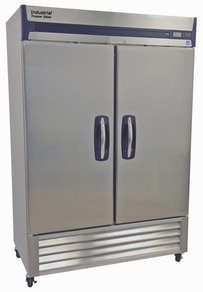 Exterior cabinet front and sides are stainless steel, exterior cabinet top, back and bottom are galvanized steel. Heavy duty solid door(s) with pivot hinges and self closing operation with 90° stay open feature. 4 casters (2 locking) on one and two door models. Top mounted forced air cooling coil. Automatic defrost and condensate evaporation. 6 casters (3 locking) on three door model.